Solid 1 1/4″ Thick Granite Countertops. Choose from over 400 colors – all in stock! Only $12 to $34 per sq. ft. Supplying Homeowners, Contractors, Builders & Decorators. Inventory sold by the square foot to accommodate the buyer! Our materials are imported directly from Italy, Brazil, India, China, Spain and Turkey. Our inventory changes frequently so please feel free to contact us with all inquiries regarding merchandise that is not displayed on our website. 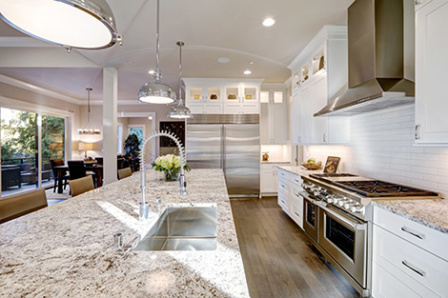 We provide granite countertop and marble vanity installations for kitchens and baths.